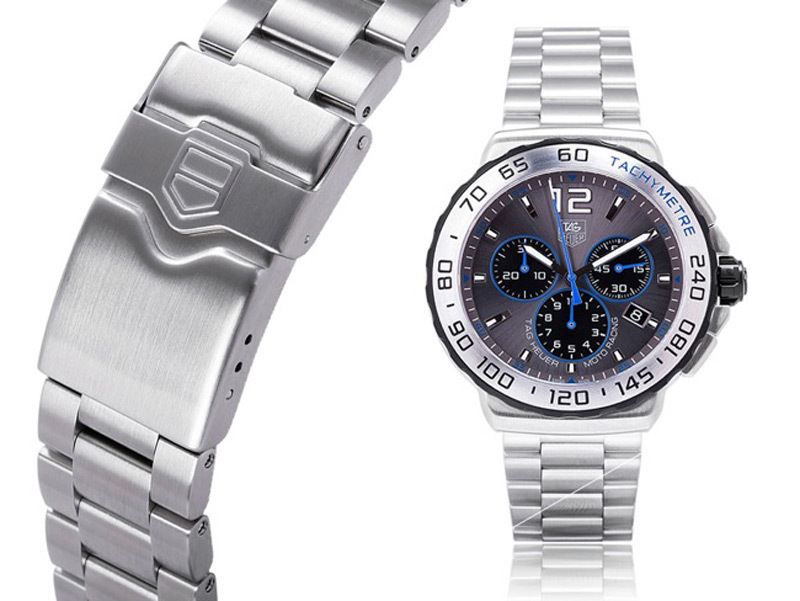 For this year, TAG Heuer prepared a special edition watch, which bears the name of the TAG Heuer Formula 1 Chrono FIM Edition. 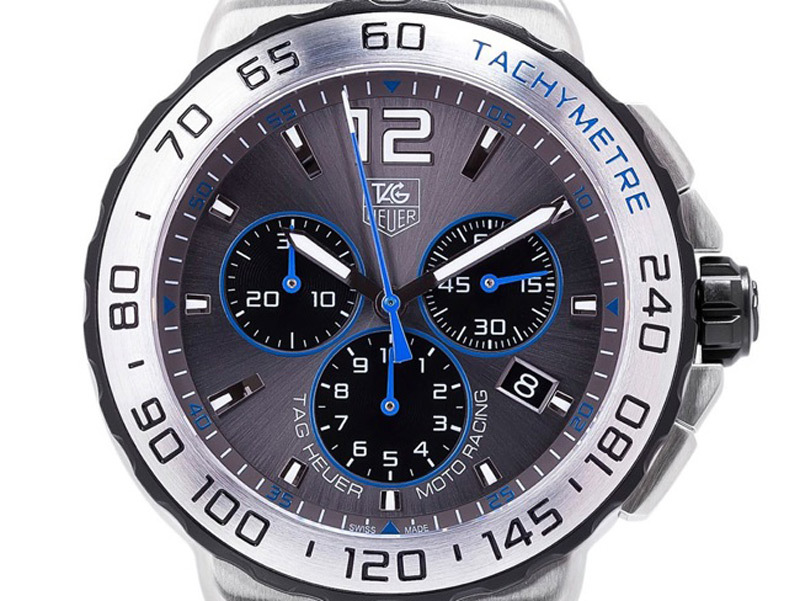 This model features the same design that carries the current collection of TAG Heuer Formula 1 However , a noticeable difference is observed in metallic gray dial and blue accents. 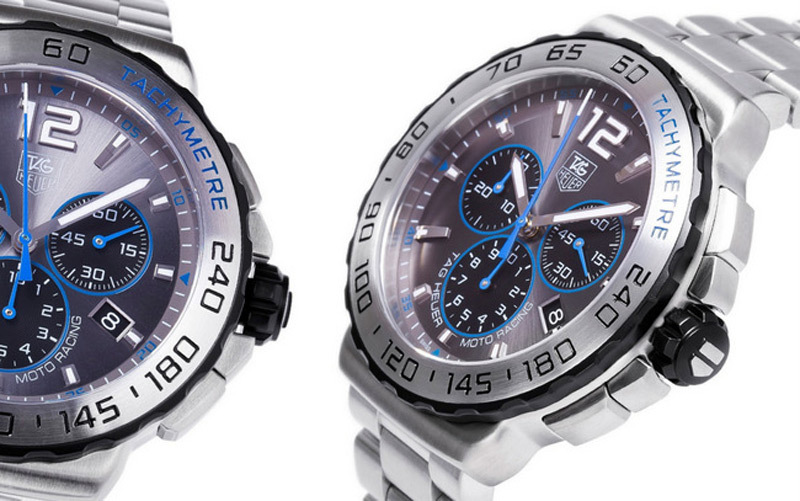 As most salient details of the 42mm stainless steel case are luminescent blue hands, three chronograph counters and detailing around the chronograph sub-dials. On the corona with black edge is engraved Tachymetre scale that allows the measurement of speed and print with results in dominant blue color. If you continue to look deeply , we see that the date display took place on 4h . In position 12h is a large hour markers , and just below it is set manufacturers logo . On the right side of the case is a striking black crown with TAG Heuer logo, and as expected from renowned Swiss company the watch features Sapphire Crystal glass. Declared water resistance of this clock, which comes on steel bracelet, is up to 200m depth, while it’s price is $1,900.